The Indiana University Philanthropic Venture Fund has committed to investing in Indianapolis-based NERX Biosciences Inc. The company discovers and develops targeted therapeutics for cancer treatment. The Indiana University Philanthropic Venture Fund, which provides capital to faculty, students, alumni and staff at all IU campuses to help them further develop their research and innovations into startup companies, has committed to invest $500,000 in Indianapolis-based NERx Biosciences Inc. as part of $2.2 million bridge round. The company discovers and develops targeted therapeutics for cancer treatment. John J. Turchi founded the company and serves as president and chief scientific officer. He also is a professor and the Tom and Julie Wood Family Foundation Chair in Lung Cancer Research at the IU School of Medicine and the Melvin and Bren Simon Cancer Center. 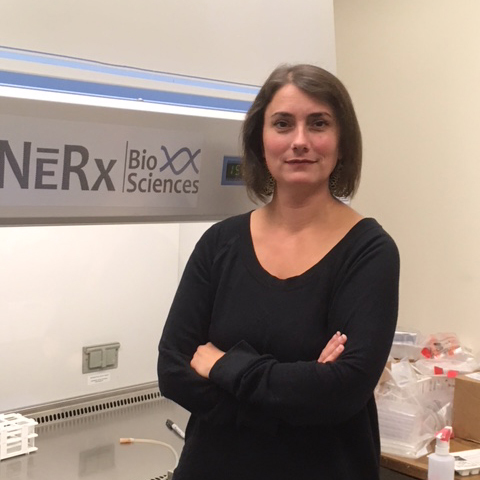 Katherine Pawelczak, the company’s vice president for research, is optimistic about NERx’s first-in-class targeted agent. “The investment, combined with additional funds we have raised, will allow NERx to complete the preparation of a preclinical data package to support an Investigational New Drug application to the U.S. Food and Drug Administration,” she said.